After last week’s post about my system of project binders it was requested that I discuss a little bit about my electronic organization. I have to admit that I’m more a paper girl than computer but I do have a decent amount of writings on my computer. This is my basic folder for all things writing-related. The folder name is “Writings,” funnily enough. Clockworks and Cogs, the memoir idea I’ve briefly toyed with (not going anywhere), Lodestar, Poems, Rose (the shorthand version of the title), my Shattered Secrets trilogy that’s been in-development for a couple of years, Short stories, and the Sunstone saga (of which Oracles Promise was the first). I guess I could have Photoshopped the dock out of the screenshot. Oh well. 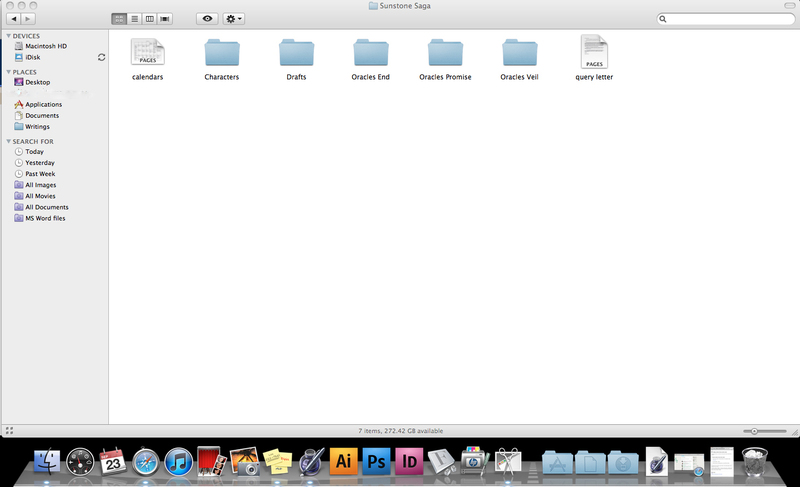 This one is the Sunstone folder. In here, I’ve got a myriad of things. With the trilogy/quadrilogy/whatever it would have been, there was a dire need for a good old calendar. That’s the first thing there. There’s a folder for characters (which would have had a file for each character except that I’m more into my paper and pencil), drafts (very important), and one for each of the books in the trilogy. 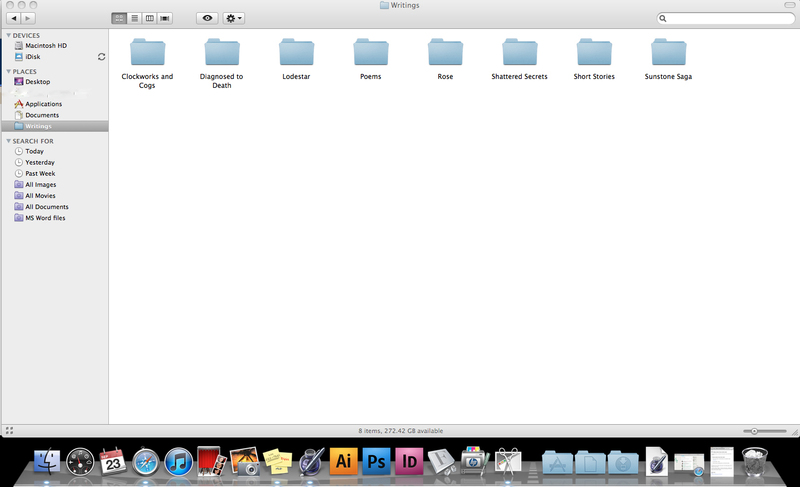 Each of those folders will contain any number of things related to the folder name. The folder for Oracles Promise, for example, has two drafts, two versions of an outline, and a file for the word verifications on Blogger, which I used for spells in the book. 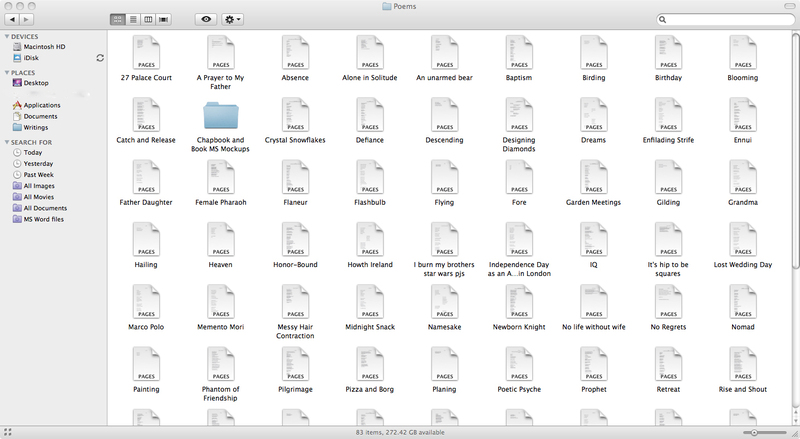 Most of this folder is given over to the individual files (one poem per file). I make excellent use of a tiered system. 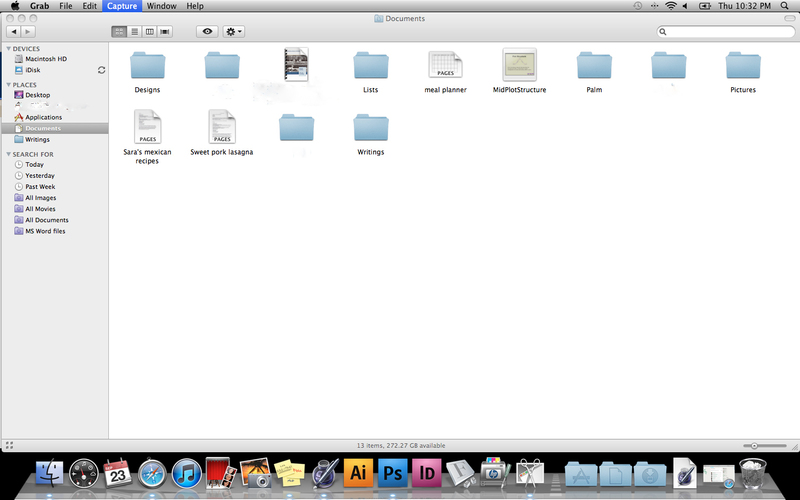 The first folder is the broadest, narrowing folder by folder until you run out of ideas for categories to sort things into. That's a very clever way to organise your work. Of course, that's pretty much how I organise my works too – except that I stopped typing my books. I do however, save any explorations of the story on my laptop. Again, you are sooooo organized!